The Naming of Dark Lords! It's summer, the sun is actually shining (or it was): hopefully we've all got better things to do than sit indoors - and I've got a book I need to finish writing. So I'll be taking a break from this blog for a few months. While I'm away I'll be putting up some posts 'from the archives'. This one first appeared in June 2015; whether you've read it before or missed it first time around, I hope it will amuse. 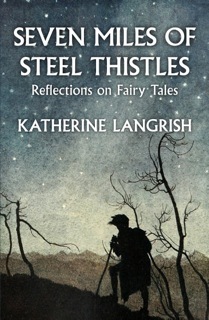 At the age of nine or so, one of my daughters co-wrote a fantasy story with her best friend. By the time they’d finished it ran to sixty or seventy pages, a wonderful joint effort – they’d sit together brainstorming and passing the manuscript to and fro, writing alternate chapters and sometimes even paragraphs. There were two heroines - one for each author - and sharing their adventures was a magical teddybear named Mr Brown, who spoke throughout in pantomime couplets. Transported to a magical world on the back of a dove called Time – who provided the neat title for the story: ‘Time Flies’ – the trio found themselves battling a Dark Lord of impeccable evil with the fabulous handle of LORD SHNUBALUT (pronounced: ‘Shnoo-ba-lutt’.) The two young authors had grasped something critical about Dark Lords. They need to have mysterious, sonorous, even unpronounceable names. Imagine you’re writing a High Fantasy. You’ve got your world and you’ve sorted out the culture: medieval in the countryside with its feudal system of small manors and castles; a renaissance feel to the bustling towns with their traders, guilds and scholar-wizards. The forests are the abode of elves. Heroic barbarians follow their horse-herds on the more distant plains. Goblins and dwarfs battle it out in the mountains. And lo! your Dark Lord ariseth. And he requireth a name. Let’s take an affectionate look at the names of a few Dark Lords. 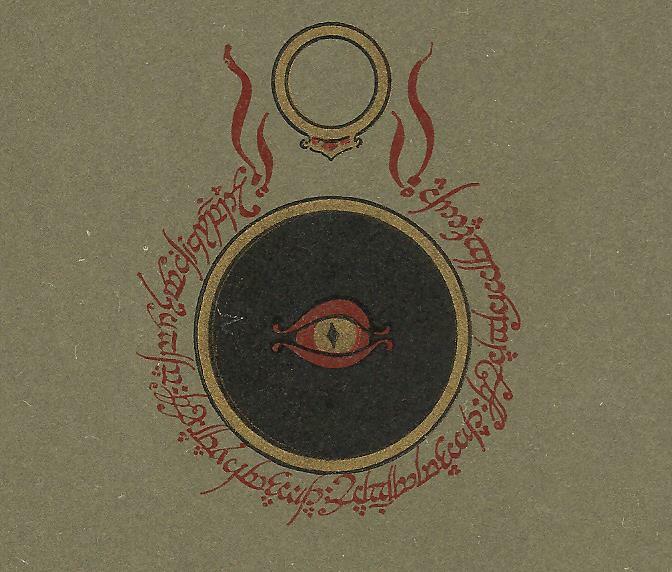 The first to come to mind is of course Tolkien’s iconic SAURON from The Lord of the Rings. A name not too difficult to pronounce, you’d think – except that when the films came out I discovered I’d been getting it wrong for years. I’d always assumed the ‘saur’ element should be pronounced as in ‘dinosaur’, and ‘Saw-ron’, with its hint of scaly, cold-blooded menace, still sounds better to me than ‘Sow-ron.’ I was only 13 when I first read The Lord of the Rings, and although I was blown away, and keen enough to wade through some of the Appendices, I never got as far as Appendix E in which Tolkien explains that ‘au’ and ‘aw’ are to be pronounced ‘as in loud, how and not as in laud, haw.’ But who reads the Appendices until they’ve read the entire book? - by which time I’d been getting it wrong for months and my incorrect pronunciation was fixed. Still, there it is. Peter Jackson got it right and I was wrong. Not content with one Dark Lord, Tolkien created two - three, if you count the otherwise anonymous Witch-King of Angmar, leader of the Nazgul and the scariest of the bunch if you want my opinion. In The Silmarillion Melkor is given the name MORGOTH after destroying the Two Trees and stealing the Silmarils. 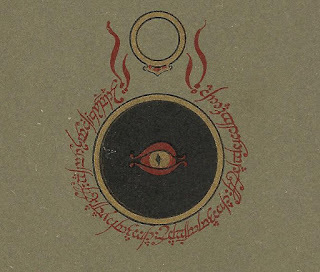 In Sindarin the name means ‘Dark Enemy’ or ‘Black Foe’, but Tolkien must have been aware that its second element conjures the 5th century Goths who sacked Rome and that, additionally, the name carries echoes of MORDRED, King Arthur’s illegitimate son by his half-sister Morgan le Fay. Of course Mordred is not a high fantasy Dark Lord, but he’s certainly a force for chaos and darkness. Though the name is actually derived from the Welsh Medraut (and ultimately the Latin Moderatus), to a modern English ear it suggests the French for death, ‘le mort’, along with the English ‘dread’: a pleasing combination for a villain. 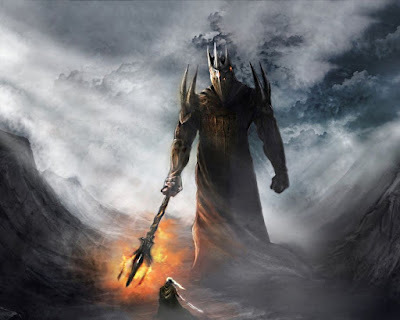 Mordred and Morgoth are names redolent of fear, death and darkness, and the ‘Mor’ element appears again in Sauron’s realm of ‘Mordor’, the Black Land. In place of the Dark Lord you will set up a Queen. And I shall not be dark, but beautiful and terrible as the Morning and the Night! Fair as the Sea and the Sun and the Snow upon the Mountain! Dreadful as the Storm and Lighting! Stronger than the foundations of the earth. All shall love me and despair! She should have all the frightful power and mystery of women. 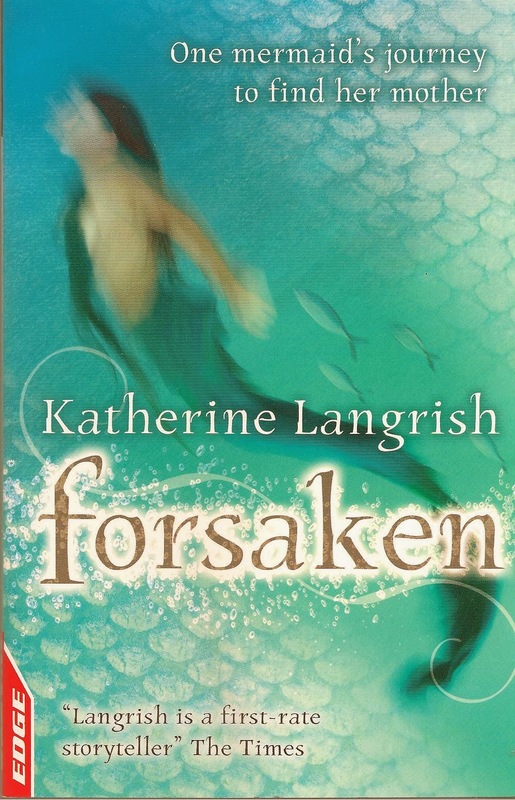 Yet she should be quite shallow, cruel, selfish…One important thing is her Celtic blood. Let her be the worst West-of-Ireland type: the one with cunning bred in the bone. Let her be mealy-mouthed: butter would not melt in it. Yet also she must be full of blood and power. Blood, power, sexism and racism: White is clearly very frightened of this woman. 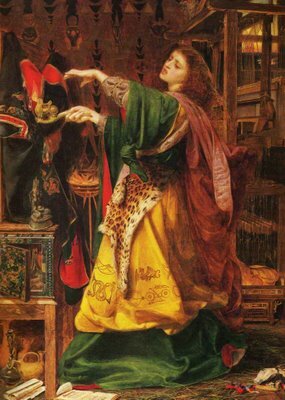 He didn’t find her character in Le Morte D’Arthur: Malory’s Morgawse is a great lady whose sins are adulterous rather than sorcerous – but her half-sister MORGAN LE FAY is an enchantress whose name is derived from the Old Welsh/Old Breton Morgen, connected with water spirits and meaning ‘Sea-born’. A final example drawn from Celtic legend is Alan Garner’s ‘MORRIGAN’, a name variously translated as Great Queen or Phantom Queen, depending this time on whether the ‘Mor’ element is written with a diacritical or not. Enough already! Not every Dark Lord’s name works as well as Sauron and Voldemort. I’m underwhelmed by Stephen Donaldson’s ‘LORD FOUL THE DESPISER’ from The Chronicles of Thomas Covenant, Unbeliever. Donaldson seems jumpily aware of the long shadow of Tolkien. He struggles to produce convincing names: for example ‘Drool Rockworm’ the Cavewight whose name to my mind belongs not in the Land, but in the Discworld. I've always thought that to name a Dark Lord ‘Lord Foul’ is barely trying, and tagging ‘the Despiser’ on to it doesn’t help. (‘He’s foul, I'm telling you! He’s really foul! I’ll prove it – he despises things too!’) Tacking an adjective or adverb on to a fantasy name often only weakens it, as in the case of the orc-lord AZOG THE DEFILER whom Peter Jackson introduced to the film version of The Hobbit. Azog is to be found in Appendix A of The Lord of the Rings, where Tolkien writes in laconic prose modelled on the Icelandic sagas, of how Azog killed Thrór, hewed off his head and cut his name on the forehead (thus indeed defiling the corpse). Then Nár turned the head and saw branded on it in Dwarf-runes so that he could read it the name AZOG. That name was branded in his heart and in the hearts of all the Dwarves afterwards. Just ‘Azog’, you see? The name on its own is quite enough. Donaldson is trying to emulate Tolkien’s linguistic density, in which proper names from different languages pile up into accumulated richness like leafmould: Azanulbizar, the Dimrill Dale, Nanduhirion. But we cannot all be philologists. Lord Foul’s various sobriquets, which include ‘The Gray Slayer’, ‘Fangthane the Render’, ‘Corruption’, and ‘a-Jeroth of the Seven Hells’, only suggest to me an author having a number of stabs at something he knows in his heart he isn’t quite getting right. ‘Fangthane’? A word which means ‘sharp tooth’ attached to a word which means ‘a man who holds land from his overlord and owes him allegiance’? It could work for a Gríma Wormtongue, but not for a Dark Lord. Dark Lords are a strange clan. Why anyone over the age of eighteen would wish to dress entirely in black and live at the top of a draughty tower in the midst of a poisoned wasteland is something of a mystery, unless perhaps Dark Lords are younger than we think. 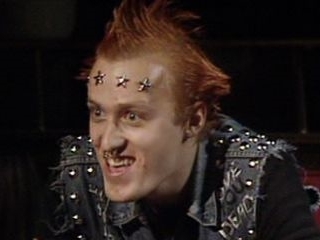 If they’re actually no older than Vyvyan from The Young Ones, it could totally explain their continuously bad temper, their desire to impress, their attacks on mild mannered, law-abiding citizens (aka parents), their taste in architecture (painting the bedroom black and decorating it with heavy metal posters) and their penchant for logos incorporating spiderwebs, fiery eyes, skulls, etc. It probably also explains their peculiar names. Most teenage boys at some point reject the names their parents picked for them and go in for inexplicable nicknames like Fish, Grazz, or Bazzer… Anyway, the all-out winner of the Dark Lord Weird Name competition has got to be Patricia McKillip, whose beautiful fantasies are written in prose as delicate and strong as steel snowflakes. Ombria In Shadow is one of my all-time favourites. But the Dark Lord in her early trilogy The Riddle-Master rejoices in (or is cursed with) the altogether unpronounceable and eye-boggling GHISTELWCHLOHM. He wins hands down. Lord Schnubalut, eat your heart out.